Make your home feel a lot more complete by introducing this fantastic Ringo Armchair. 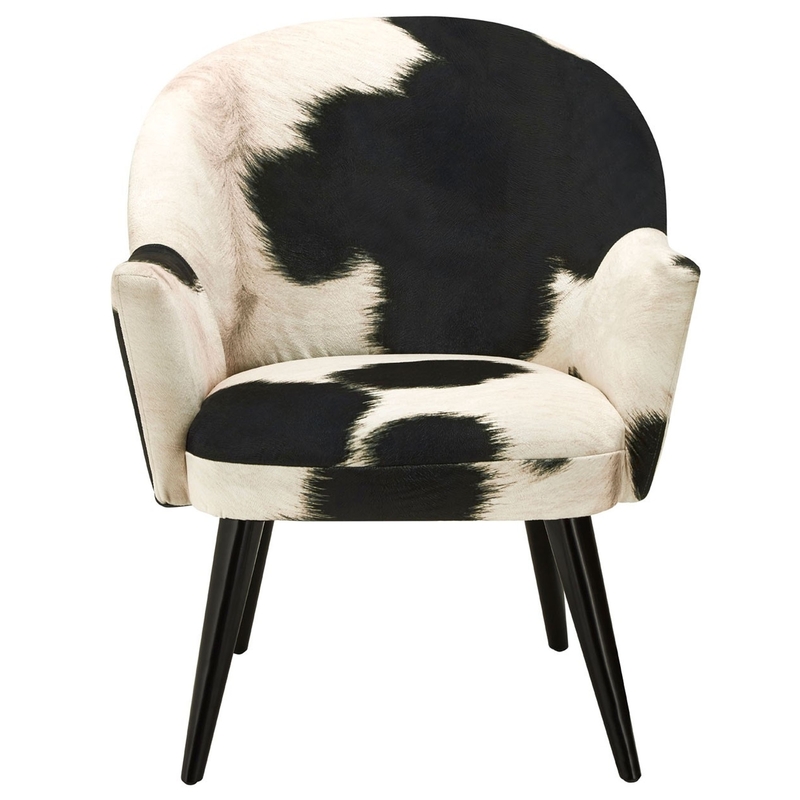 It looks absolutely fantastic, the cowhide gives this contemporary chair monochrome appeal. As well as looking beautiful, the upholstered cowhide print gives a generous seating area, which is complemented by a brilliant backrest and armrests.